THERE'S a school in England that to maintain traditions dating back to when it began caring for children of the "fatherless and poor" over 460 years ago, still outfits its pupils today in the uniforms of all those years back. And it still provides a free education to children of families in need, having been founded at the instigation of a young King Edward VI after listening to an impassioned sermon about those "fatherless and poor" delivered by the Bishop of London in early 1552. Edward rallied around him prominent church and business leaders and wealthier private citizens, and in November of 1552 declared open Christ's Hospital School in empty State buildings he gave in Newgate Street London. 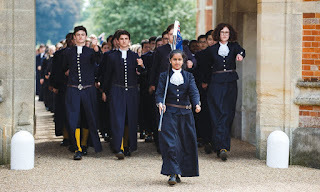 Within a year over 500 pupils had enrolled, and Edward himself as Patron signed a Royal Charter the following year giving the school royal recognition and assistance. Sadly, he was to die of tuberculosis just eleven days later, never to see all the good he was to help create, and in 1666 most of the school's buildings were destroyed in The Great Fire of London, but no lives were lost. Christ's Hospital School today is located near Horsham 70km south of London, and has a near-900 boarding and day pupils, with a good proportion attending on bursaries and scholarships provided by wealthy modern-day donors to cover the costs of their education, board, travel, uniforms, sportswear, and even weekly pocket money. By contrast, for parents able to pay for their children to board at the school it costs around the equivalent of AU$20,000 per child for each of the three annual terms, and for day pupils up to AU$13,500 per term. 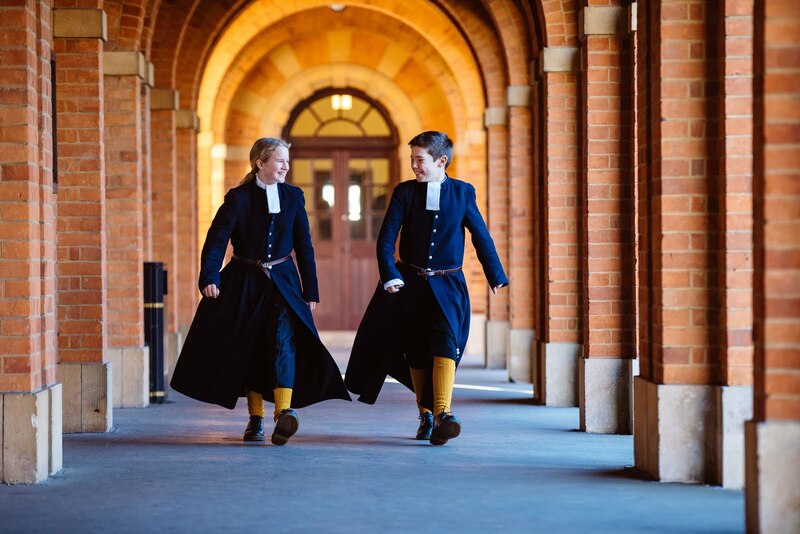 And the school uniform still consists of a long blue coat, matching knee breeches for boys and skirts for girls, yellow socks, and a white neck band from the Tudor era all those years ago.